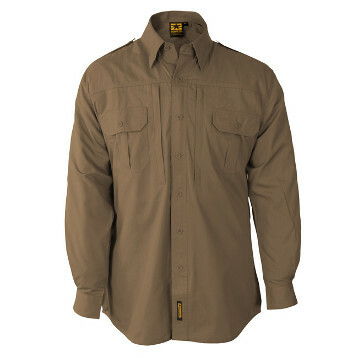 The PROPPER Tactical Shirt is comfortable, durable and professional whether on or off duty. The lightweight, breathable ripstop fabric is fade, shrink and wrinkle resistant, and treated with DuPont™ Teflon® fabric protector to repel stains and liquids. 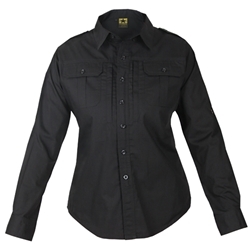 A mock button-up front conceals a hidden zipper for quick access to a vest or weapon. Also features a longer tail in back, two zippered chest pockets, roll-up sleeve tabs and gusseted underarms for a wider range of motion. 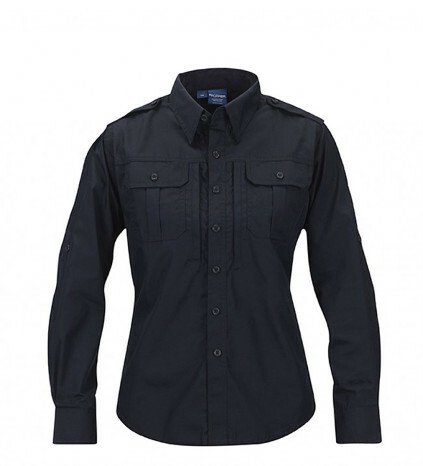 Pair with our PROPPER tactical pant to create a uniform.